The fabulous women over on the &Stitches blog have posted a review of Colorful Stitchery here. Hop on over to &Stitches for a chance to win a copy donated by Roost Books. 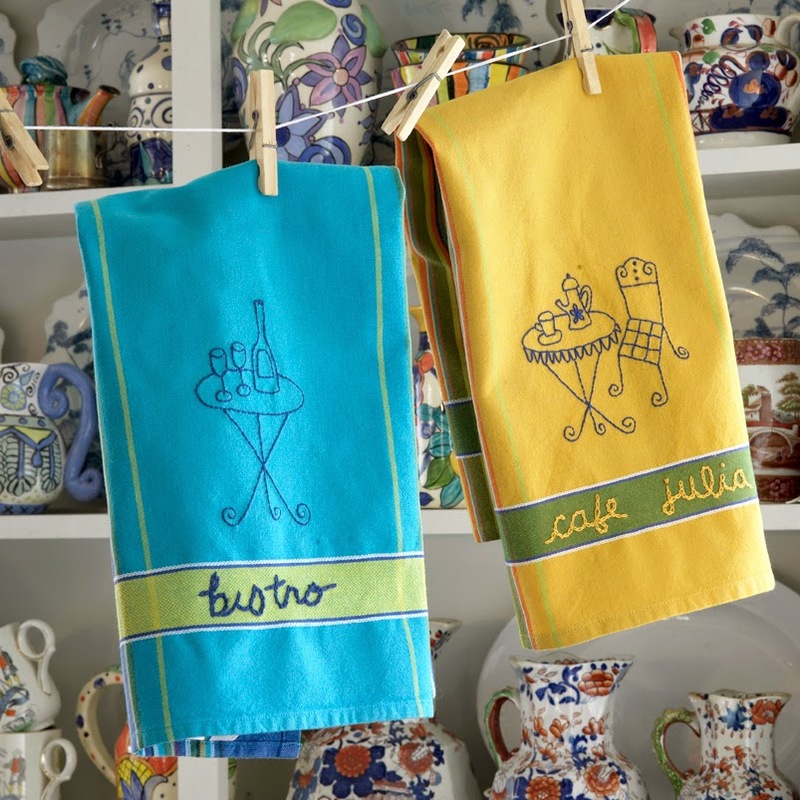 Here's one of my favorite designs from Colorful Stitchery - Cafe Dish Towels embroidered with simple motifs with cotton embroidery floss. A little old-fashioned but very useful. A very nice gift for anyone you might be making a present for! My favorite place is my bedroom. When I awake every morning the first sight I see is the lake.....it is so beautiful and peaceful and makes me just Thank God everyday for what He has given me. Also love looking at my paintings that I have painted...... And of course my husband beside me and our Gracie, our Wire Fox Terrier curled up between us..